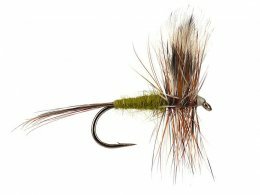 Dry flies float on the water surface or in the water surface film and usually imitate an adult insect (Imago, Emerger, Spent). 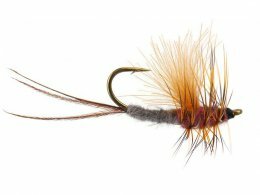 Fly fishing with the dry fly is particularly exciting if the fish chase the insects which are landing on the water surface. 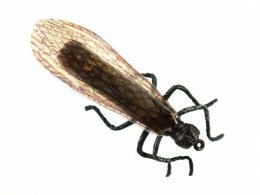 This mostly is happening when there is a mass hatching of water insects. 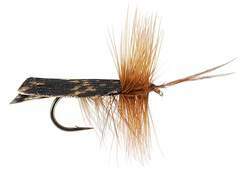 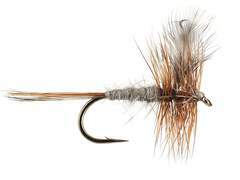 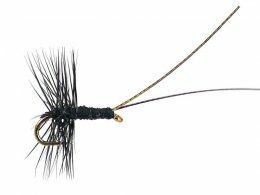 The floatability of dry flies depends on the used fly tying materials and on the size of the fly and can, if required, be increased by greasing them. 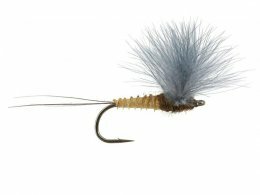 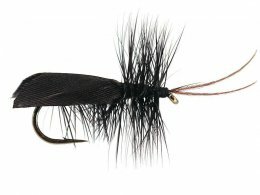 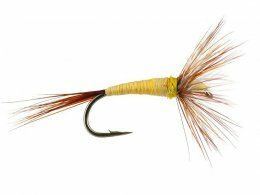 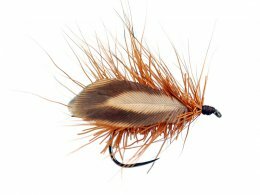 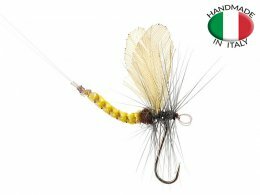 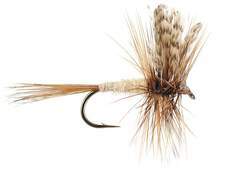 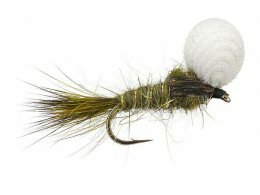 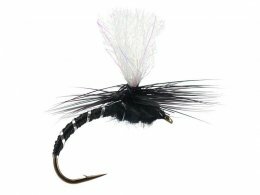 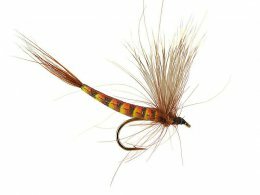 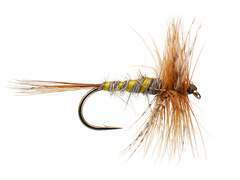 In the following sub-categories you can find an assortment of over 600 dry flies.